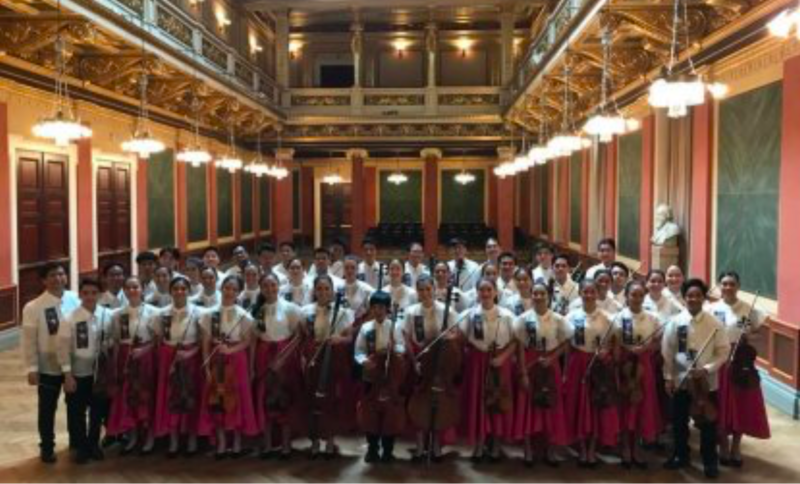 The Manila Symphony Junior Orchestra bested over 30 youth orchestras from 14 countries to claim the top spot in Austria’s most prestigious youth music festival. The 47-member orchestra, led by conductor Jeffrey Solares, violin and viola teacher Sara Maria Gonzales and cello teacher Arnold Josue, will perform again today (July 10) during the Gala Winners Concert at the Konzerthaus in Vienna. In 2017, the MSJO expanded from its 36 members to 48 by including the best students from the Manila Symphony Orchestra Academy and its partner institutions throughout the country. Despite their tender age, the MSJO is also tapped by the Manila Symphony Orchestra in some of its concerts as additional players, providing them even more opportunities to hone their talents. MSJO members are between nine and 21 years old.